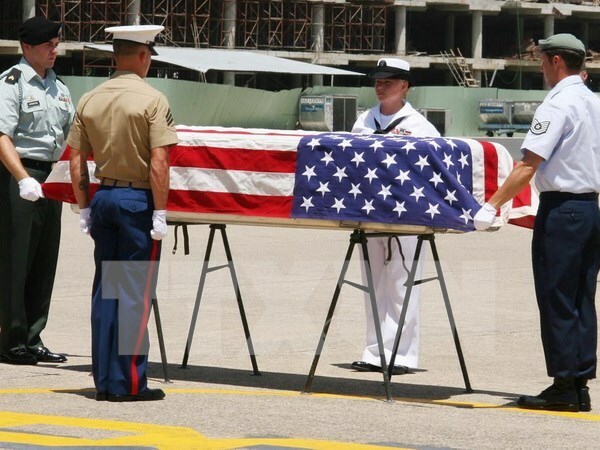 Hanoi (VNA) – A repatriation ceremony for three sets of remains believed to belong to US servicemen listed as Missing in Action (MIA) during the war in Vietnam took place at Da Nang international airport on April 2. The remains were recovered during the 126th Joint Field Activity from February – April this year and will be flown to Hawaii for further examination. It has been the 140th hand-over to the US since 1973. Speaking at the event, a US government representative thanked the Vietnamese government and people for their goodwill and effective cooperation in the humanitarian field over the past years. Vietnam is still looking for the remains of hundreds of thousands of its own dead and MIAs.